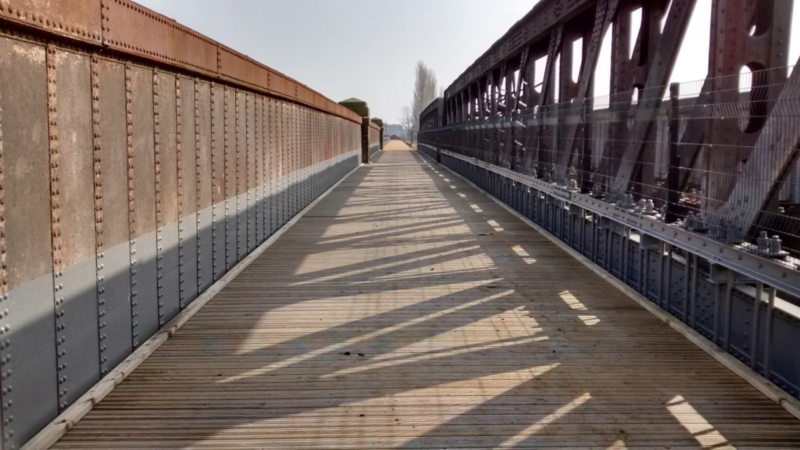 This month Railway Paths Ltd are anticipating the official opening of the brand new pedestrian route over the historic Torksey Viaduct, with thanks to The Railway Heritage Trust. Torksey Viaduct has linked Nottinghamshire & Lincolnshire across the Trent since it was built in 1849. 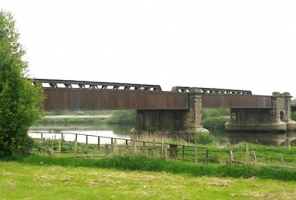 It’s a rare example of a box girder bridge and is Grade II* listed. It’s been disused since the railway line closed in 1959 and came into Railway Paths ownership in 2001. In 2013 the Railway Heritage Trust provided funding to enable a walking route be created over the viaduct. The official opening of the revived viaduct will take place at 2pm on the 22nd April, with arrivals from 1.30pm. The opening celebration will be include a marquee and stalls with refreshments. Following the opening ceremony there will be a guided walk onto the path and along the Nottingham side of the river Trent. If you are would like to join us at this opening celebration, please contact Bill Tomson, Network Development Manager for RPL and sister charity Sustrans, at bill.tomson@sustrans.org.uk. Photo © Sustrans: Eastward views towards Torksey from the Nottinghamshire end of the viaduct. 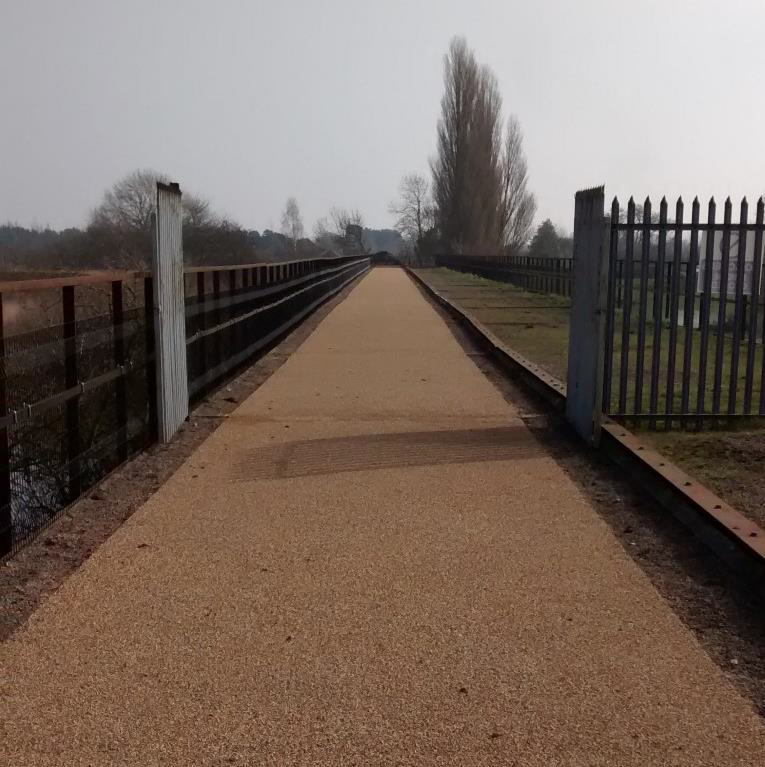 Photo © Sustrans: Finished path surface to the trestle section of the viaduct. Creating the path involved removing some of the existing ballast and laying of a concrete path finished with resin bonded gravel. This new path is on the north side of the deck – as shown here – while the south side is being left as it is to retain ecological interest. 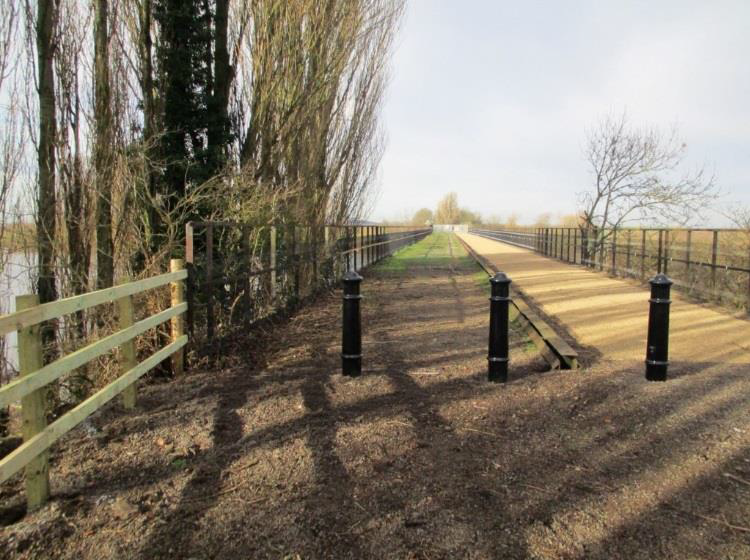 Photo © Sustrans: View west from the Torksey end showing new bollards installed to prevent vehicles access and the mesh panels fixed to the trestle viaduct parapets. 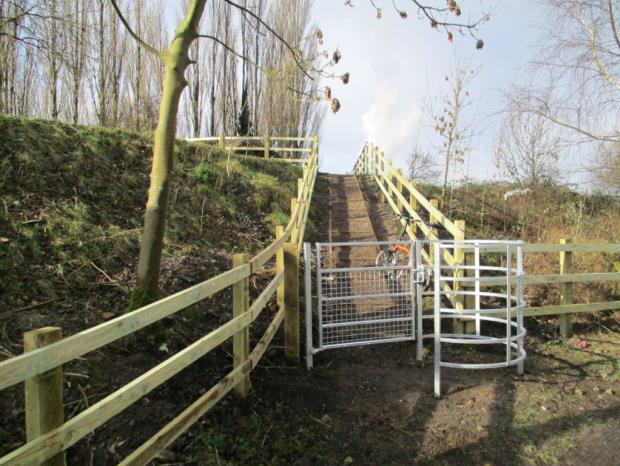 Photo © Sustrans: Access onto the viaduct from the Main Street, Torksey with new fencing and kissing gate.